“Alex was INCREDIBLE! Our dog Kumo had a serious problem with demand barking and would constantly pull us on the lead. Now he walks perfectly and constantly checks-in with us! His barking has reduced so much. She was great at taking the time to explain his behaviours and why acts they way he does. She would help us with any questions we had. Would 100% recommend her!" “Alex is an amazing dog trainer. Very knowledgeable and friendly. She helped us prepare before we brought our puppy home and instantly connected with him. Our sessions were great and her detailed follow up notes were very helpful too. Our sessions helped me build the confidence to bond with our pup and continue his training. “I took home a very cute but VERY cheeky one year old puppy from Battersea Dogs home called Prince Pip! Being a rescue dog, Alex really helped me understand the potential reasons behind Pip’s behaviour - helping me see the world a bit more from his perspective. But more importantly I’ve learned tonnes of tricks and tips in order to manage his behaviour effectively in all sorts of integral ways. Having now experienced the one-on-one, bespoke training I feel confident in my approach with Pip - and am reaping the rewards as he is coming on with leaps and bounds. The insight and knowledge I’ve gained from Alex has truly helped strengthen my relationship with Pip which is gold! Alex is a pleasure to work with as she is passionate, extremely knowledgeable, thorough yet engaging in the delivery - but more importantly down earth and super friendly too! I couldn’t recommend her more highly. “Alex is an amazing trainer! She is very professional and has a relaxed and friendly manner. As new dog owners, Alex guided us through every step of the way with our new puppy ‘Marty’, from the very first day we brought him home. Alex’s passion and dedication to animals shines through her work. Marty enjoyed the sessions as much as we did and he was very cooperative and responsive. I would highly recommend Alex. 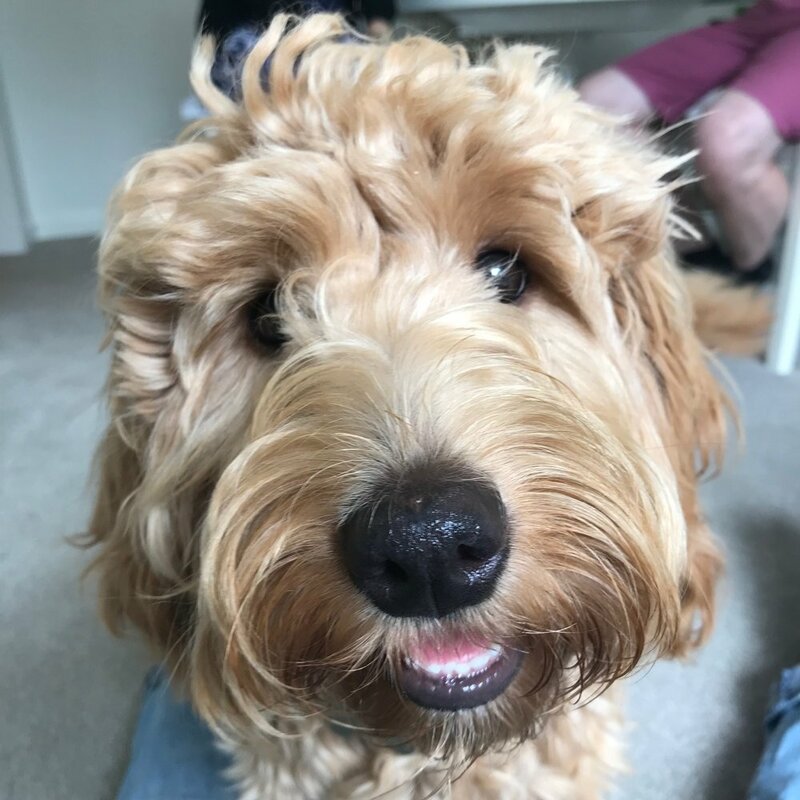 "Alex did an amazing job helping us train our miniature labradoodle, Ruá. We found her very knowledgeable in all aspects of doggie care, from diet to behaviour and toilet training. Following Alex’s training and guidance we have found a massive difference in Ruá’s behaviour and our life with Ruá, especially in terms of house training, walking on the lead, avoiding distractions and recall. I couldn’t recommend Alex more, she is very professional and friendly, and Ruá loved her." "Alex is literally a dog whisperer. She cares very much about the dog, their environment and how it can work best for the dog and the family/owner. My very energetic large puppy is happier and much better behaved and now loves to train. The only thing I would wish is that we could keep seeing Alex. My whole family and dog adored her and looked forward to her visits." "Alex was a fantastic trainer and specialist. We weren’t sure what to expect at first but after our first meeting we knew how good she was and how great she got on with our puppy - especially as our dog is quite reserved with anyone outside of the family! Alex is methodical, honest and makes sure she provides clear guidance. Her detailed reports at the end of each session were very helpful and have formed the basis of our training going forward. Alex not only improved our puppy’s leash training but also other important aspects, essential for dog owners to have in their arsenal (leave it, recall, etc). Most importantly, Alex not only helped our dog improve on her own abilities but gave us the confidence to carry on the training. She taught us crucially that it isn’t simply our dog that needed training but us as dog owners as well! We feel highly motivated after our sessions with Alex and can’t recommend her enough. What a pleasure to work with!" "I was very impressed with Alex's expertise, experience and professional approach. She worked with me from before our puppy even came home and prepped me very well with what to expect and get things off to the very best start. She even provided me with a shopping list of recommend items. Alex is very knowledgeable and equipped me with not only the skills to train my pup, but also with insight into a dog's perspective. It has been very helpful and her clicker method has been a huge success. She is passionate about dogs and an absolute natural at dog handling. All training sessions we're backed up with extensive follow up emails and training videos. I have no hesitation in recommending her wonderful programme and training methods." "I learnt so much from Alex. She is an exceptional trainer. She showed me how to use the clicker effectively which has been instrumental in turning our crazy pup into a well mannered doggy citizen! It is because of her our puppy waits on her mat while we answer the front door. She really understands dogs - Coco loved her and loved her chicken treats! She also gave me so much follow up advice on the phone - she really is the go to person for all doggy matters! I will always recommend her." "I would highly recommend Alex. My little Leo loved her sessions! I was excited but also very nervous about bringing home my first puppy. 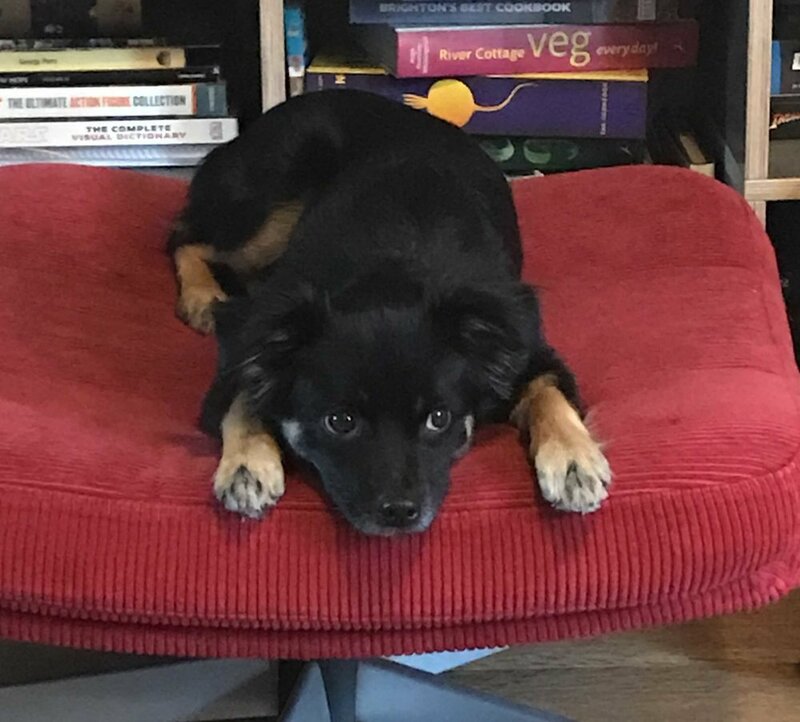 I booked her puppy training pack and it was the best thing I could have done. Alex is a brilliant trainer. Her knowledge and advice has been invaluable. She taught me all the basics I needed to know and gave me so much confidence. Leo is now 6 months old and behaves wonderfully!" "I can't recommend Alex highly enough. She is absolutely delightful as well as being a superb trainer. Dilly loved the training sessions which Alex made a lot of fun. Both Dilly and I learnt a huge amount and Dilly now responds and behaves wonderfully well. Alex is brilliant." "Alex has been brilliant with our new puppy, a German Short-haired Pointer, called Alfie. As a family, we all loved the sessions and learnt so much. She is always so helpful and gives brilliant practical advice. I highly recommend her." "Alexandra’s amazing knowledge, abilities and talents with our puppy Buddy have been invaluable to us as a family. Her methods of positive reinforcement have ensured that the bonding with our gorgeous puppy was quick and enjoyable. We have a well behaved dog who understands his boundaries and therefore feels safe in the knowledge that we adore him! Thanks Alexandra!" "Alex is a great trainer. Being a first time dog owner, I was not at all confident Alex was very patient with me and our puppy. Thanks to her our puppy is very calm and listens to all his commands learnt during training and is becoming very well mannered. Makes me feel proud when people see him in the park and say what a well behaved puppy he is and this is all due to Alex. Thank you." "Our little Boston Terrier Barry is so well trained and a dream dog because of everything we learnt with Alex. It's clear she has a special connection with all dogs and understands specific breeds needs and traits. I'm so pleased we chose Alex over other trainers as her calm nature really has an influence over you and your dog. I couldn't recommend Wolfgang training enough! Thank you Alex." "Alex is THE dog trainer that you want and need, whatever your canine requirements are! She brings exemplary passion, knowledge and professionalism to every training session. My little puppy, Maximus, responded well and immediately to her approach. Alex doesn't just provide effective training, but she explains in great detail the thinking behind her approach. The results speak for themselves. Alex is very knowledgeable, always willing to help and ensures she is constantly up-to-date on the latest training methodologies and even nutritional information. She really goes above and beyond, offering advice between training sessions if required and regularly checks in. Also very helpful, her professional summary notes and tips following each session. Alex can share a host of useful links, both for training purposes but also all dog-related products (e.g food, harnesses, playpens). If I was a dog, I would most certainly want Alex as my trainer. You can't go wrong with Wolfgang's Way!" "Alex is brilliant with dogs. And their owners. Her combination of enthusiasm, professionalism, patience, humour and firmness worked as well with us as it did with Billy. I doubt you could find a better dog trainer. And I’m sure they wouldn’t be half as much fun." "Alex was fantastic in helping me to house train my staffy pup. She was a pleasure to work with and my staffy pup had so much fun and lots of chicken treats! Alex is highly knowledgeable in this field and was very professional throughout our training as well as being affectionate towards my pup. She knows exactly what she is doing and I would recommend her for anyone looking for a dog trainer." "Alex is such a pleasure to work with! She played an integral role in getting our puppy, Humphrey, set up for success in both his behaviour as well as his training. Her method of training was kind and gentle and really got our puppy excited to learn both during, as well as after every single session we had. I highly recommend her to anyone who is looking for training that focuses on positive reinforcement!" ”Alex came recommended to us and was a great choice! She is experienced, very thoughtful and a good listener. We had Alex when our black labrador was about 14 weeks old. He was quite boisterous and we were worried that he might develop bad behaviours. Alex was very calm and told us that was just a characteristic of a puppy and taught us how to manage and introduce him to the world properly. 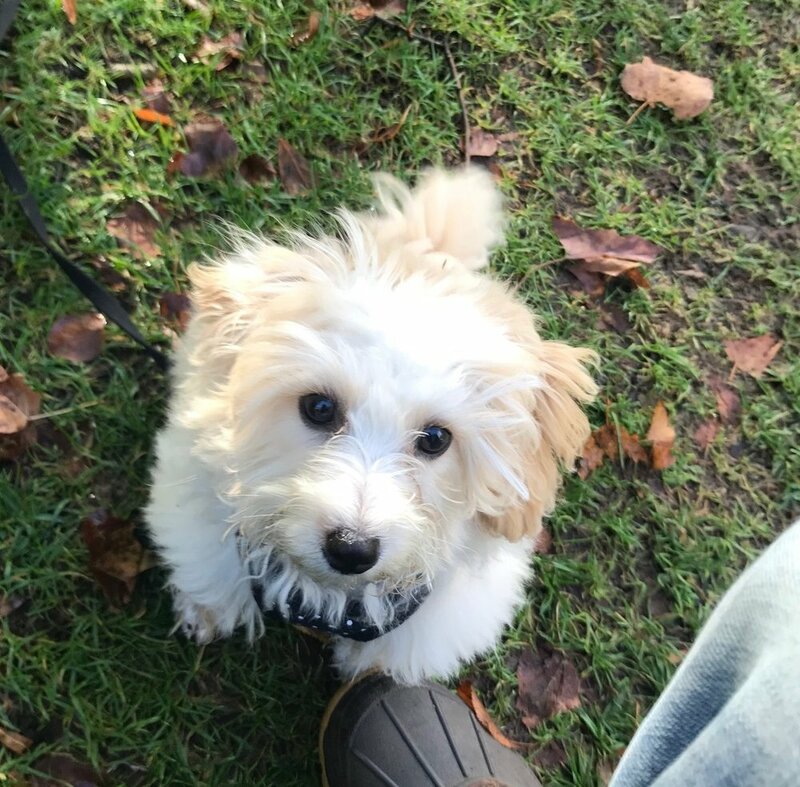 Pickle is now a well-behaved sweet little thing… the recall training was very effective and essential, given that Pickle had a previous accident where he ran out of the woods and crossed a big road! "I can’t recommend WW Dog Training and Alex highly enough! 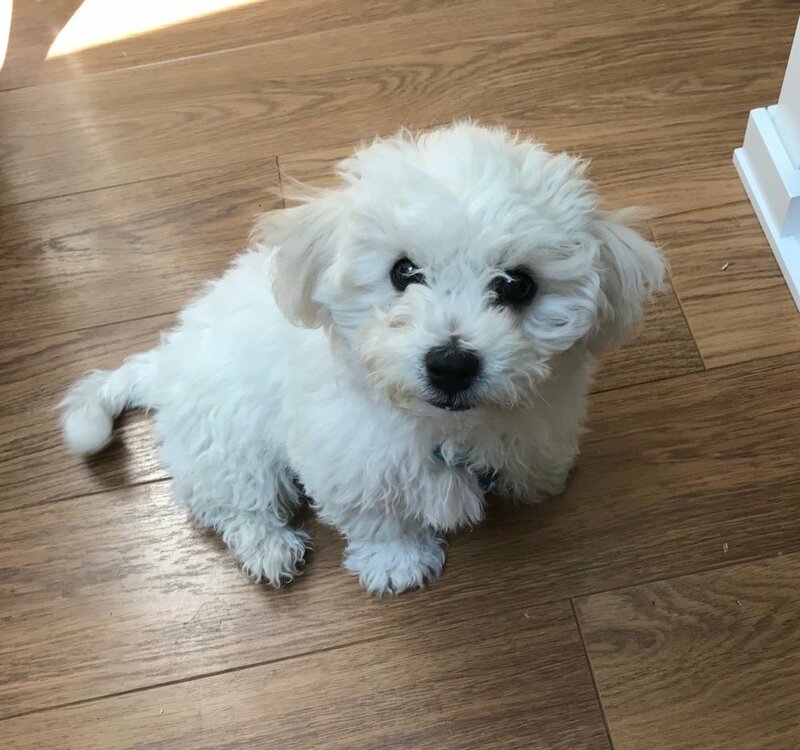 I have reached out to them following my first week with my new puppy with the objective of learning more about positive reinforcement behaviour and how to train my pup. Following an initial chat over the phone with Alex I was already highly impressed by her passion and professionality hence decided to go for the five puppy sessions. I have now finished the training, which was overall a very pleasant experience, feeling not only more knowledgeable, but also learned how to easily click train my puppy and feel more confident when with her or away from her. Already looking forward to my future training sessions with Alex and WW Dog Training!" "Just to say these sessions have been great at showing us what to do and how to do it, and importantly in building our confidence with Poppy. From thinking I could never manage when we started, you’ve helped me come a long way." "I can not recommend Alex highly enough for dog training. Our new dog, as a rescue, came with a number of issues which we have needed to work through sensitively and slowly. Alex was attentive to all the information we were able to provide about our dog which made us feel confident in both her passion for training and her knowledge. She is hugely supportive, kind and encouraging both during training and after. At no point did she make us feel failures for not having the perfectly behaved dog but instead was able to offer rational explanations and modify the training so it felt extremely tailored to us and our dog. It is obvious that she is passionate about her profession and never complacent that she knows it all. Instead she is constantly researching information and attending courses to improve her knowledge. The amount of information that you receive during a training session is often overwhelming, and difficult to retain but here's but here's the difference, Alex follows up each training session with an email linking you to training videos to remind you of all the information, and literature recommendations. She provides routines for you to work through and then follows up. Her attention to detail is amazing but at no point does she make you feel an idiot for not mastering often complex and subtle modifications in your own behaviour which make all the difference in having a confident, happy dog who is well-behaved and your very best friend." "A great dog trainer, very knowledgeable about dogs and the best we have come across by far. Alex is very friendly, caring and you can tell she loves to train dogs. She took very good care of my little dog Lokum and Lokum loves her to bits. Trustworthy and very reliable, can't ask for more. I would recommend her to anyone who is looking for an effective trainer for their dog"
"Alex came as a recommendation to us and was amazing! Not only is she highly knowledgeable about dogs, but the care and love she had for our fur baby shined through. 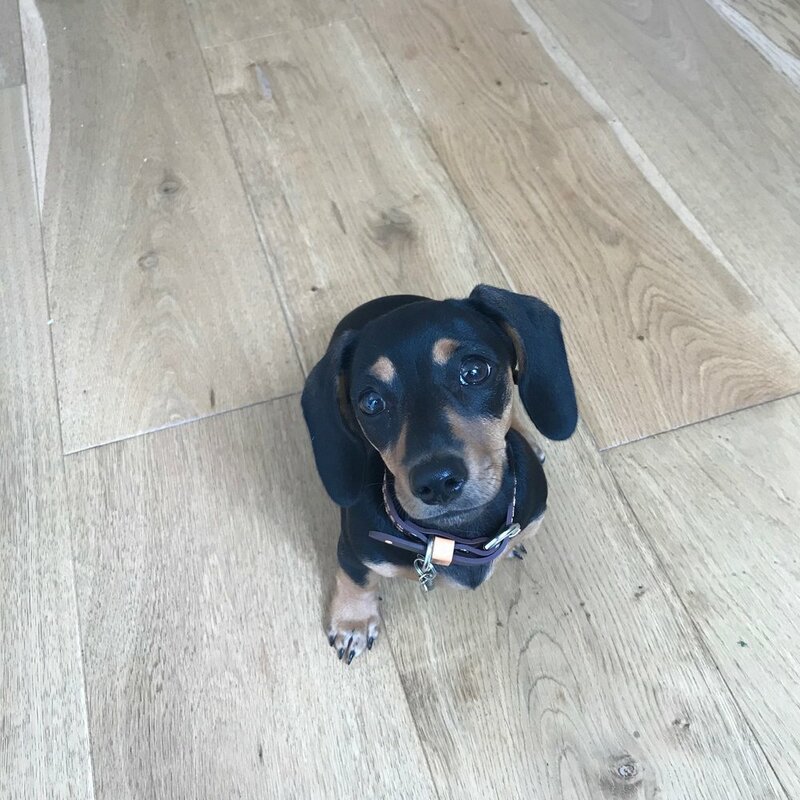 Our mini dachshund puppy, Max, adored her and responded quickly to her training. What I especially loved is that she sends a follow up email with full notes after each session and homework + follows up after to see how we are getting on so you really do make amazing progress. Alex truly cares about your training and dog journey with tips for busting boredom, ideas for keeping puppy happy based on his breed, etc. As a first time dog owner, this was the best money we spent and was incredibly helpful. I can't recommend lovely Alex enough!!"